In an industry devoted to making digital products like websites, apps and wearables, making it simpler for the end users is paramount. The best digital products are those which do not allow the users to think too much when trying to interact with it. Every user when using a product often demands the sense and simplicity. Understanding their goals and needs is the first thing that should be considered when developing a product. At TECHVED, our attempt has always been to put the best food forward and develop solutions with a competitive edge. 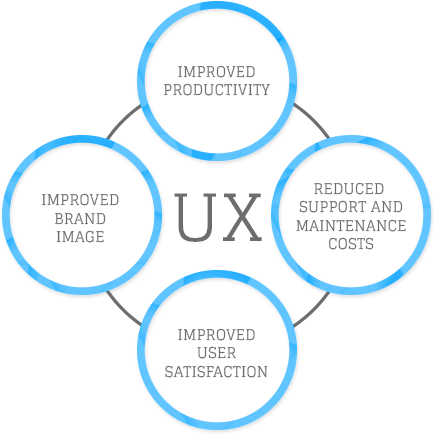 When it comes to User Experience Design, as a company we ensure that our clients get the best solutions. Why are we best at what we do? Be it any digital product- from websites, apps to wearables and intranets, we understand the requirements of each platform specifically. Our approach towards each usability problem is different and we strategically design solutions to tackle them. We practice and preach Usability is every design and this has bought us to a point where every product that comes to us will undoubtedly have the best experience. We believe in the fact that Good designs brings in Great conversions. And, we ensure that every design is not only loved by the user but also helps the business in reaping maximum conversions. After understanding the Usability flaws in every product specifically, we develop a strategy to tackle all those flaws in the best possible way. Our different teams work coherently keeping in mind the users who are going to consume the product in the end. Our quality team consists of the best minds in the industry and are well versed with the latest technologies in the market. We stay upbeat with the Latest Design Trends and ensure that a product is complying with the latest technology standards. We swear by delivering a high quality work at the right time. Out of all other perks of working with us, TECHVED is known for its alliances all over the globe. We are working across geographies with the most prominent clients all over the globe. With such a humungous footprint and working with corporate giants, we have been able to create a way to bring usability to the brim for every digital product that goes out in the market. Such is our work culture, client base and quality of services. We thrive to live by the principles we designed when we started with User Experience Design and Usability Services and we still do not compromise on the set principles. To learn more about each stage please visit our home page. Techved Consulting is in the field of user experience since many years.We have worked with several client’s and have improved their visitor to customer ratio. We always give high quality services to our customers. We have a team of Expert UX / UI designers . We understand your business goals and connect them to your users by turning complex looking designs into beautiful, clean and accessible designs which is user friendly. We love to brainstorm new ideas and create valuable user interfaces. You and your business are the one’s who get the benefit from our hardwork. It takes a lot to be the best ux design studio agency. Our firm also provides services in Mobile app development ,ecommerce portal , web and graphic design.Our studio has high quality tools to provide quality work to our client’s. Looking forward to craft brilliant User Experiences? Let’s get in touch!